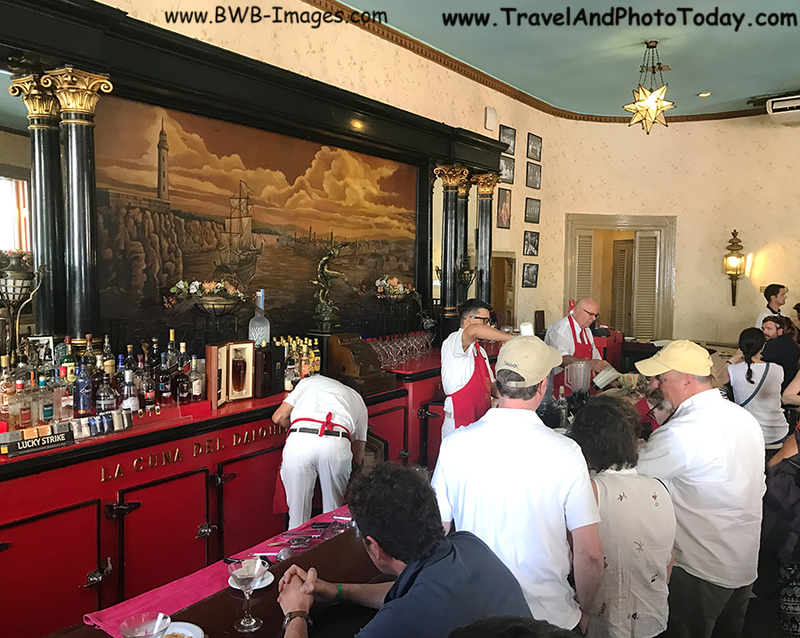 Welcome to La Floridita Bar – Havana Cuba! Do you love a nice cold, delicious daiquiri? You are going to love La Floridita. 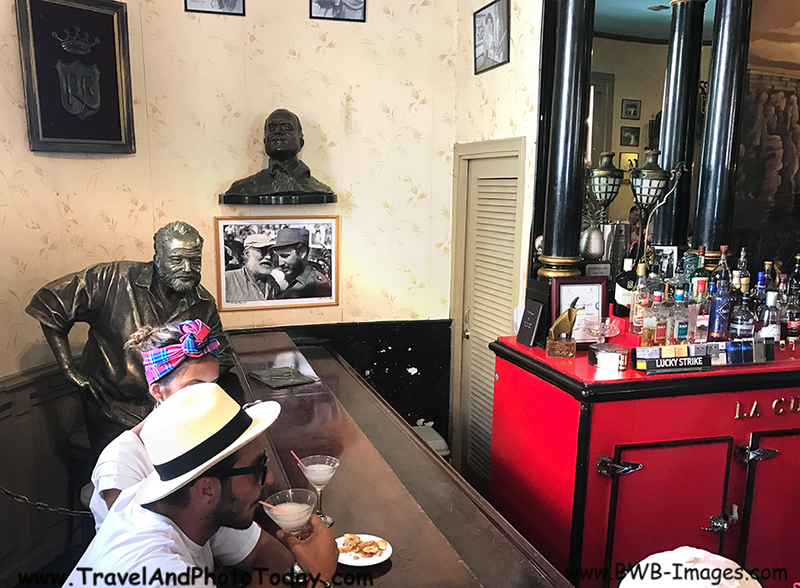 Their daiquiris are reputed to be the best in the Old City of Havana – made with the Cuban National Rum “Havana Club” of course. 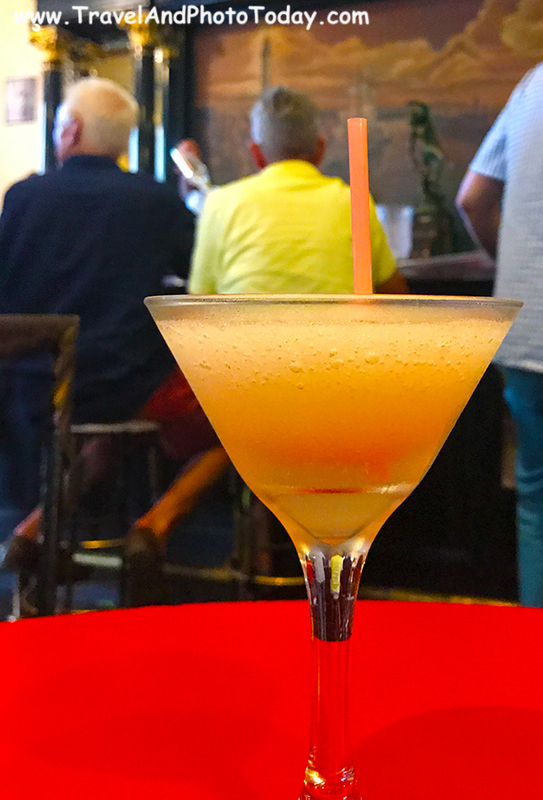 Indeed, locals will tell you that daiquiris were invented in La Floridita. Are you an Ernest Hemingway fan? You’re gonna like La Floridita. 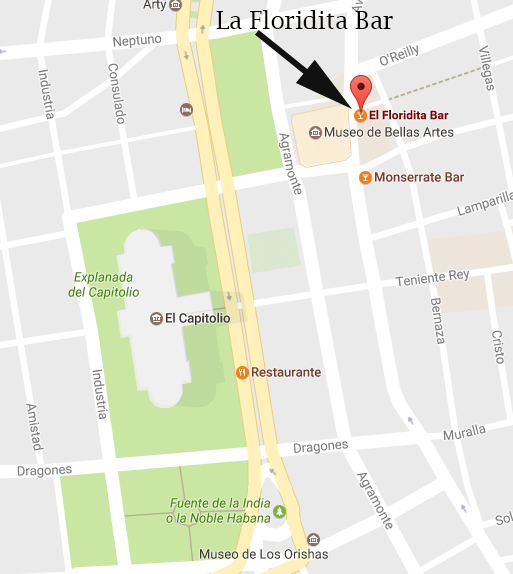 Hemingway kept a room at the Hotel Ambos Mundos , a short walk from La Floridita, from 1932 until 1939. He was a regular at the bar. He and his wife returned to La Floridita frequently for drinks even after having later moved to their own home on the outskirts of Havana. 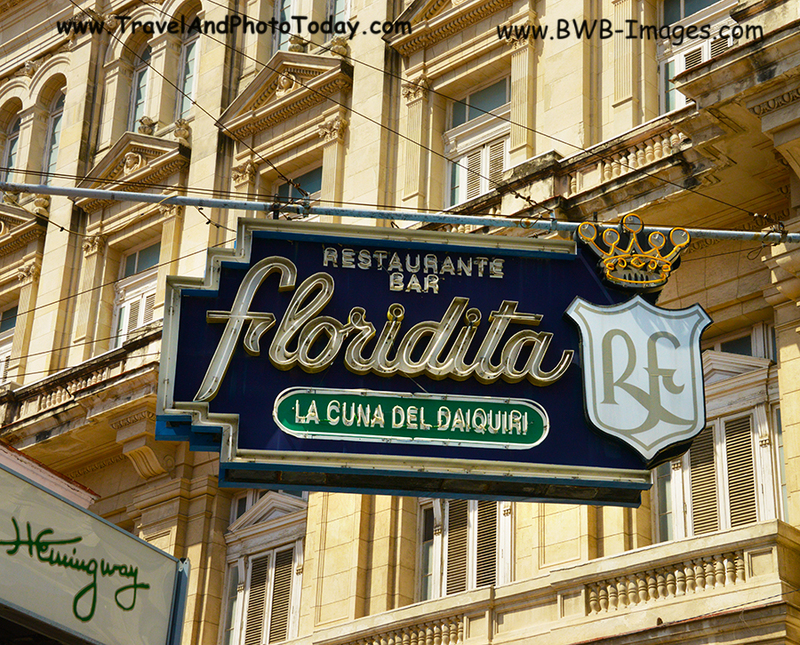 Today, La Floridita continues to be a lively and active bar and restaurant in the old section of Havana. One block east of Parque Central, it sits on the corner of Calle Obispo (Bishop Street) and Avenida Belgica (Avenue of Belgium). It’s hard to miss the pink, one story bar on the corner. It’s a hub of constant activity with lots of tourists and foot traffic. There also seems to always be a gaggle of Havana’s rather odd little yellow “Coco Taxis” parked out front. For a couple of pesos they will take you and a friend to other nearby locations or sites. 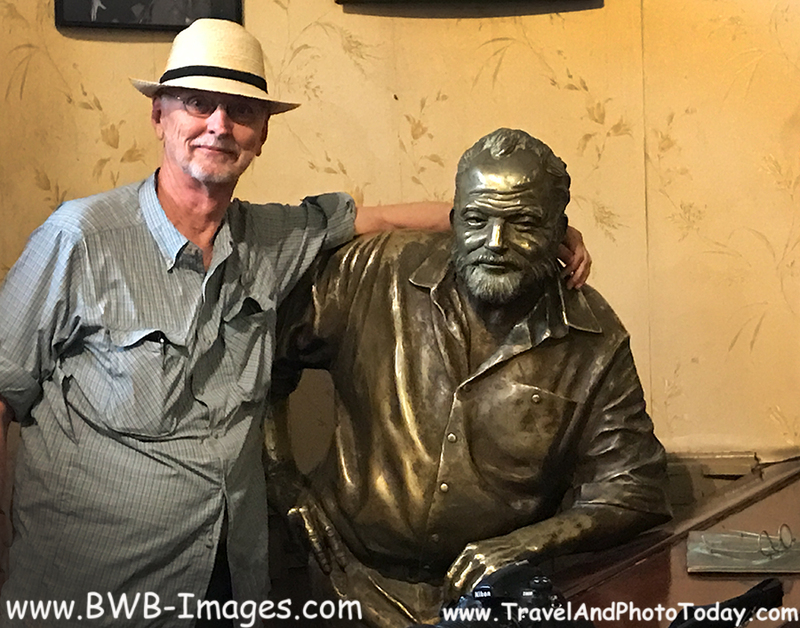 The interior of La Floridita is decorated with Hemingway memorabilia including photos of Ernest and Fidel and a large life size statue (by Cuban artist José Villa Soberón) of the Nobel Prize-winning author. 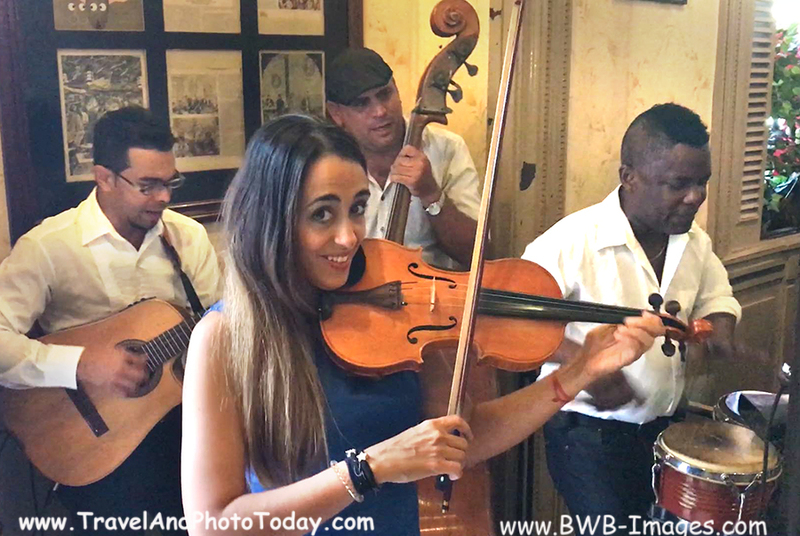 Every restaurant and bar in Cuba seems to have live music. In this regard La Floridita is no exception. Listen to the salsa beat of some great Cuban music while you sample that icy cold daiquiri. 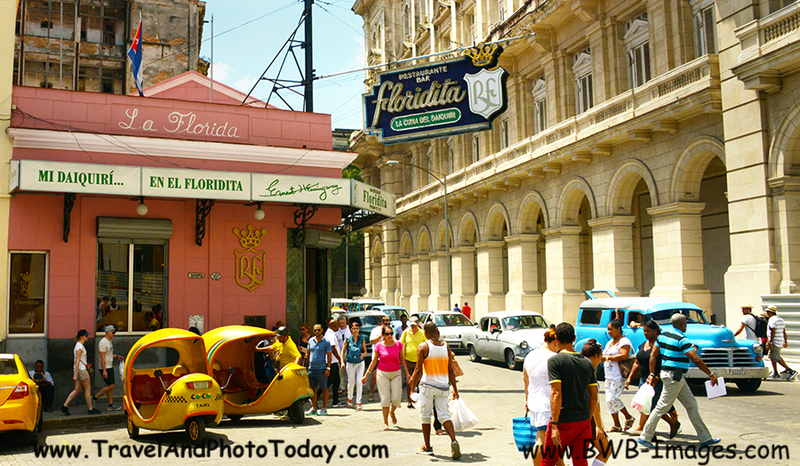 So, the next time you’re in Havana, Cuba – stop in at La Floridita. You’ll be glad you did. Visit La Floridita ……………… And Enjoy The Adventure!